We sat down and spoke to a lot of courier companies and found out that none of their business was automated. Everything was manual; courier payments, customer invoicing, pricing and dispatching. This was time consuming, very costly and inefficient. We met with Courier company customers who were using taxis like couriers. 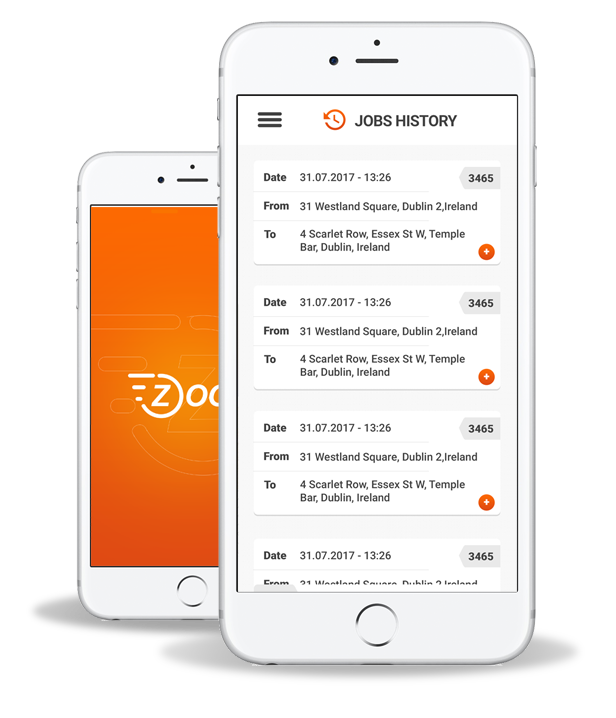 They wanted an on-demand service with a taxi app feel and Couriers informed us they wanted a fair and efficient dispatching system. Zoom was born out of a clear need to develop software that met the needs of all these keystakeholders. To simplify and automate the business operations of courier companies and ensure all end users -Courier company staff, customers and couriers have a great user experience every-time. Zoom courier software enables any sized Courier Company to compete with the giant app and logistic companies. Why wait until something is broken to react? our UX engineers map out user experience and spot the issues before your customers get the software, make sense? See a gap in the market? We will have wireframes to show you in days and push down the update within days/weeks depending on requirements. No greedy shareholders! 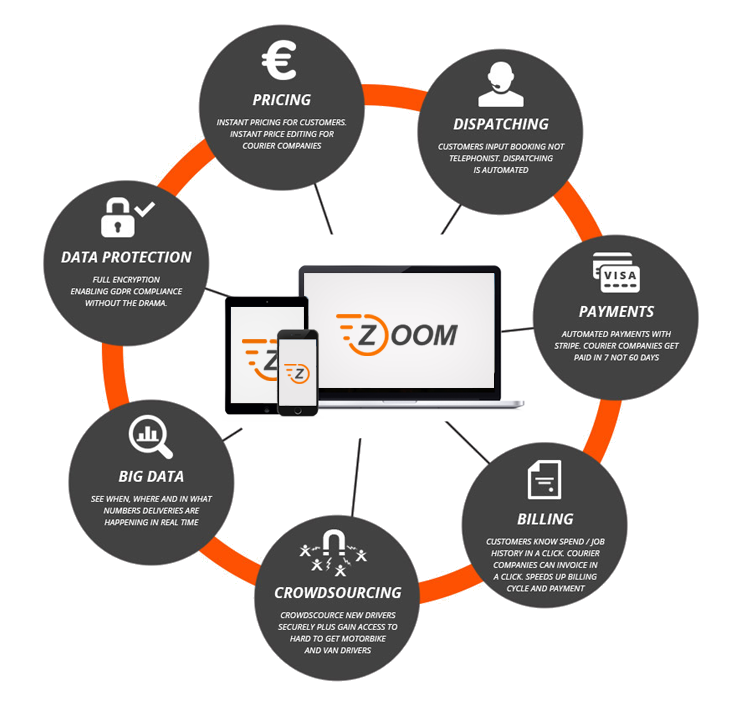 At Zoom we aren’t interested in taking over the world instead we on-board customers one at a time successfully, when you do better so do we.